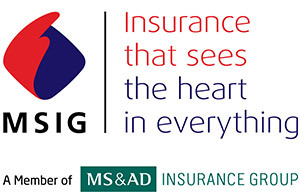 Singapore – With its recent launch of the MSIG SpeeDi app in Thailand, MSIG Insurance continues its digital transformation in the region with the introduction of a unique telematics device for its motor customers. With the aim of encouraging safer driving in Singapore, the device tracks driver behaviour and provides feedback after each trip via a mobile app. MSIG Insurance, in collaboration with its non-profit organisation Mitsui Sumitomo Insurance Welfare Foundation, has been offering research grants in Singapore over the last 10 years to encourage researchers to come up with novel solutions to tackle road safety issues. Some of the research that the foundation has supported in the past years include a study to design and create prototypes that improve traffic safety among secondary school students (2008), understanding an elderly driver’s perspective to determine if age affects their driving abilities (2012), and more recently, to analyse cyclists’ behaviour on roads and footpaths (2016). “It is our mission to help secure a sustainable future for the community at large. Traffic safety is an important topic in Singapore where there is increasing usage of roads, by both pedestrians as well as vehicle owners. We wish to play our part in raising awareness of this issue and to also positively impact driver behaviour through the use of technology,” said Mr Alan Wilson, Regional CEO, MSIG Holdings (Asia) Pte Ltd. The introduction of MSIG’s telematics device will contribute to this social purpose. The device aims to influence driver behaviour to create safer drivers, which will in turn lead to safer roads. A pilot study conducted with over 100 drivers in March 2016 showed that 85% of drivers agreed that the device had encouraged them to be safer drivers. The app will provide drivers with feedback on their driving behaviour once each journey ends, and an overall driving score will be assessed based on these factors: distance, speed and driving style such as cornering, acceleration and braking. Four scoring bands will indicate the driving score, with Green indicating the best (or safest), followed by Yellow, Orange, and Red. The encouraging results from the pilot study has led to the introduction of a new product – MSIG UMax motor insurance, a ‘Pay How You Drive’ model that rewards the customer based on driving performance. 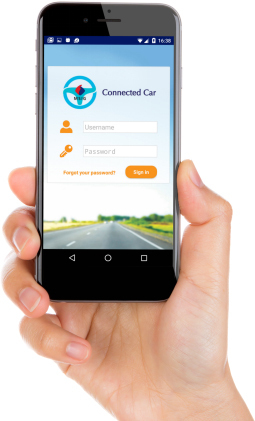 Customers who sign up for MSIG UMax will have the device professionally installed without extra costs and are able to access their driving data through the free smartphone app – MSIG Connected Car. “We are delighted to be introducing more options to the market. As consumers become more connected than ever, ‘Pay How You Drive’ is a more intuitive model for drivers. It is also a customised system and encourages our customers to drive more safely as they get direct feedback from the app,” said Mr Michael Gourlay, CEO, MSIG Singapore. Drivers with the device will also be able to use the mobile app to locate their vehicle in Singapore. A value-added option will allow the vehicle location service to be enabled in West Malaysia. In the first year, the premium will still be based on the existing pricing method using a combination of factors such as the vehicle make and model, driver’s profile and claims history. Driving data will be assessed 60 days from the policy commencement date. In the unfortunate event of an accident, drivers can bring down their own damage excess by 50% if they have achieved a driving score within the Yellow band in a 30-day period before the accident, or even a complete waiver of the excess if their score is within the Green band. This excess adjustment is unique to MSIG UMax’s model. “With the excess adjustment, drivers can literally reduce their excess to zero if they maintain an excellent driving score,” said Mr Jeremy Lian, Senior Vice President of Technical Services, MSIG Singapore. MSIG will also offer customers a rebate of up to S$150 upon the installation of the device.